In order to organize an event or conference, a lot of start-up steps need to be done beforehand, for example: time, location, agenda preparation, sending invitation so on and so on. You have to spend time and energy for a good preparation and result. Slow down and take a rest because I am presenting to you an advanced solution to shorten your time: think about using a WordPress theme for event and conference organization and management. It will be more effective than you expected. There are dozens of premium WordPress Event Themes in the ThemeForest to choose and our One-page WordPress Event Theme – Ramsey should be a wise selection. 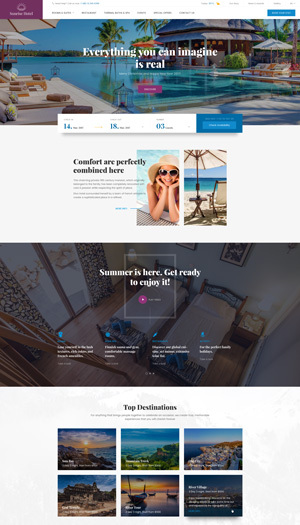 WordPress Event Theme – Ramsey is a theme which helps you have a full control over the event management in one-page interface from time, location, schedule, speaker to sponsor. 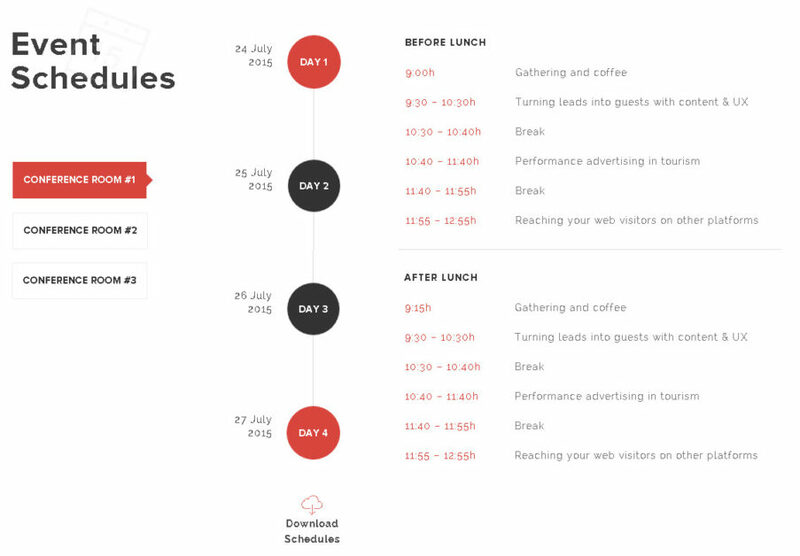 Specially, the event schedule is arranged in a good order in which detailed information of each day and each conference room is clearly showing to prevent you from getting confused. Besides that, travelling information about hotel, transportation, location information is also included here so that you can find the fastest and convenient way to the event. Differently with other premium WordPress Event Themes, Ramsey is building with powerful simple shortcodes which allow you to variously customize your page contents in quick and easy manner. Furthermore, the Shortcode Generator of Ramsey WordPress Event Theme offers you power to form shortcode blocks based on your actual demands. Take advantage of this function, you can use elements to build your event and conference site without touching complicated codes. 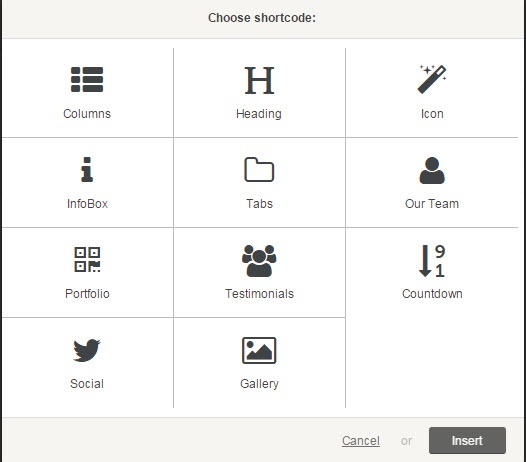 Elements such as Heading, Column, Tab, Icon, InfoBox Testimonial, Our Team…as you see in the live demo are simple shortcodes which you can flexibly insert into any page. To make sure your selection, you can easily test these shortcodes before applying. Additionally, Ramsey WordPress Event Theme provides you a function to display price and features of all service packages by the Pricing Table so that guests can have selection to book tickets for participating into events. Like other WordPress themes by ThimPress, WooCommerce 2.2.x, 2.3.x is also integrated in Ramsey WordPress Event Theme which turns Ramsey to be an online shop. With full responsive and Retina ready, your event and conference site will look so awesome in any device. Check out other features of this WordPress Event Theme here. And now take a tour with our demo, surely you will understand and believe my words.